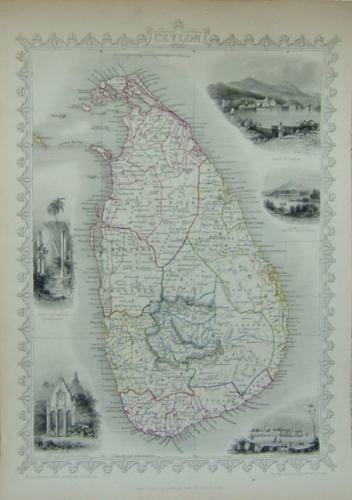 Title: "Ceylon". Published by Tallis. A fine steel engraving with vignettes of local scenes, by John Rapkin. Full margins. Good condition on good quality paper.Blank reverse.